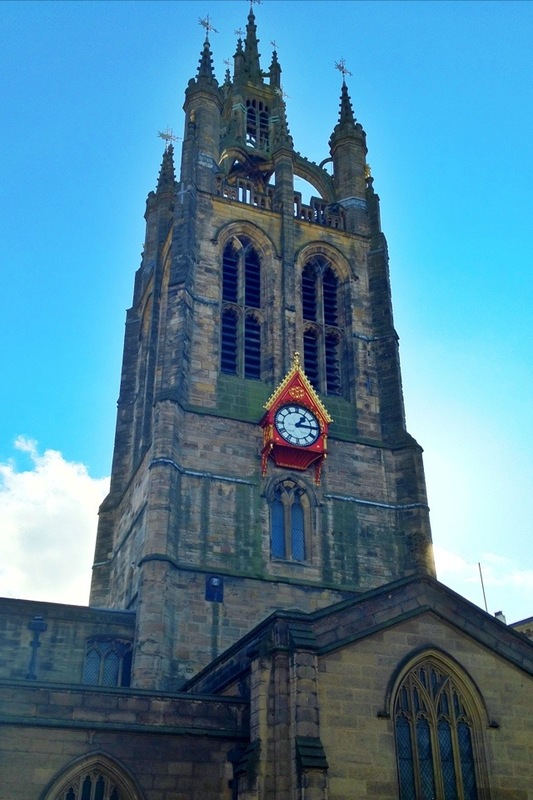 The second in my series of three cathedrals of Newcastle is the Cathedral Church of St Nicholas Newcastle upon Tyne. I know that doesn’t scan properly, but that’s what they call it. This dates from 1359, and is the seat of the bishop of Newcastle, who – strangely enough – I’ve mentioned once before on here. Of particular interest to my organist brother, it boasts a fine four-manual Grand Organ built by TC Lewis. I don’t really understand the meaning of those words in that order, but the organ has its own webpage, with very pretty pictures, which I’m sure Glenn will enjoy. This 1,544th post was filed under: Photo-a-day 2012, Chris Dalliston, Christianity, Churches, Newcastle-upon-Tyne, Religion. Trackback received at 17:48 on 22nd August 2012.